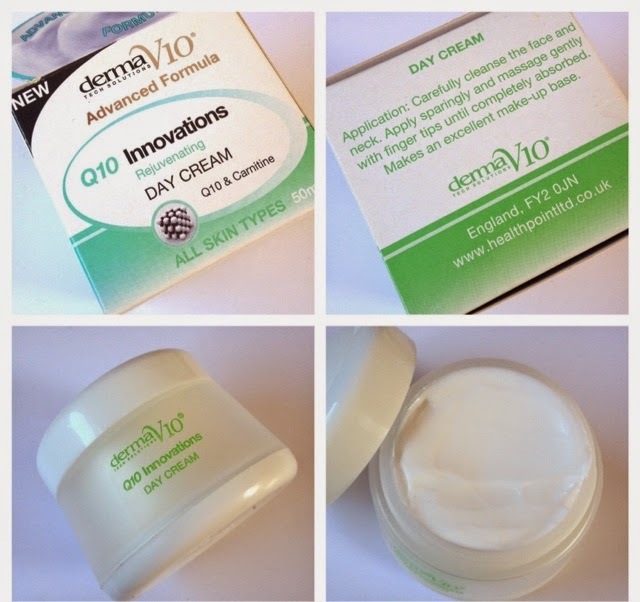 DermaV10: Can £1.00 Skincare Products Be THAT Good? 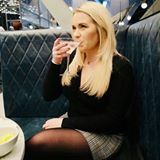 All of us beauty lovers love a bargain, whenever the pound shops bring a new brand in we get excited and stock up, but what about the beauty brands that are in these shops all the time that may get overlooked? All of their products in the shops above are £1.00, but can they really be any good at that price?!?! I thought I would share my thoughts with you on some of the products. 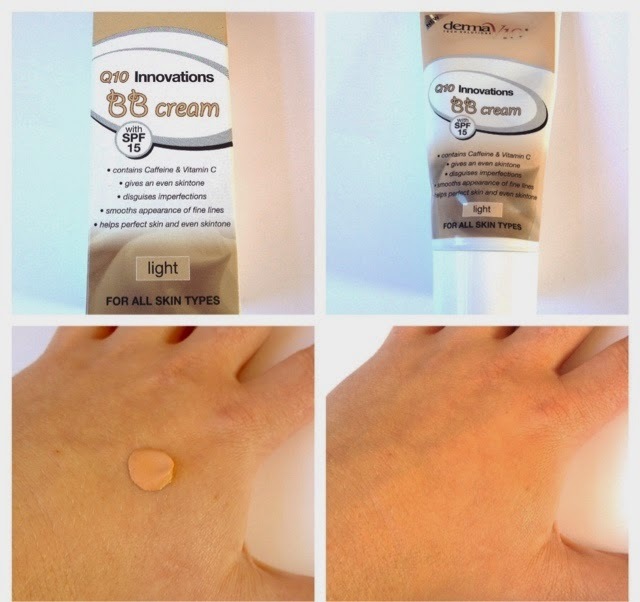 I am a BB cream addict and I love trying different brands, the boxed BB was very different to what I am used too. Inside the box is a generous tube of product, the packaging is, well, cheap looking but for £1.00 does that matter? The shade I picked is shade light, and on opening the lid this is where I became disappointed, the shade is so dark/orange I was considering not putting it on my face, however I will say it blends lighter than expected but if you are fair skinned this is one to steer clear of! The application is easy and it does cover blemishes, but my oily skin didn't really like it. Worth £1.00? Yes if your skin isn't oily and has a bit of colour to it. I don't usually use day creams, if my skin needs a pick me up in the morning I usually use a flash balm but I was interested to try this. It says that it's suitable for all skin types and after trying it I can definitely say it's good for my oily skin. It also claims to be a good base for makeup.....surprisingly it is!!! It soaks in almost immediately and leaves my skin hydrated and makes applying makeup really easy. The packaging again is very 'plasticy' however I can definitely overlook this as I really really love the product! Worth £1.00? YES!!!! 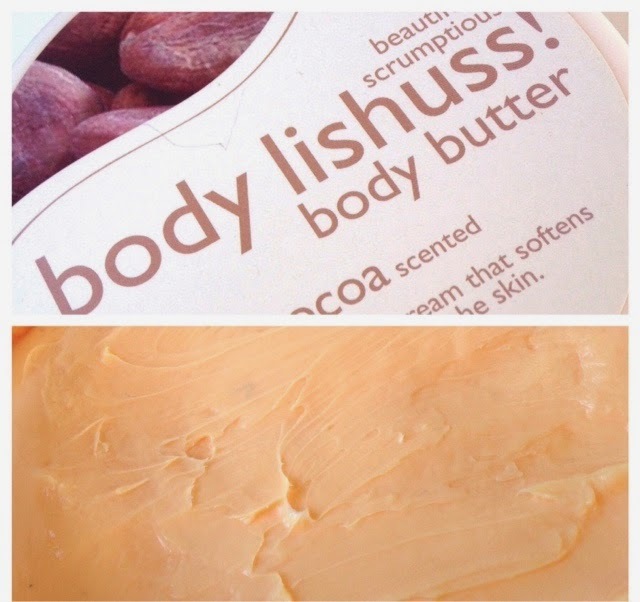 Bodylishuss Body Butter is a product I have repurchased so it's no surprise I am going to rave about it. 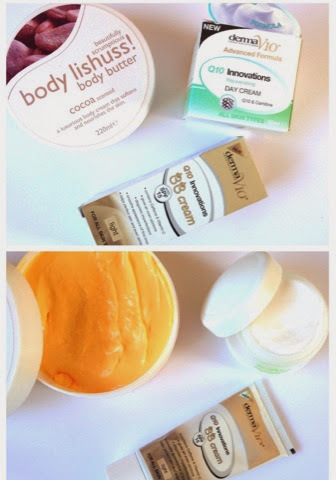 It's the same size as The Body Shops body butter (which cost around £12 each), it's thick, creamy, soaks in to the skin leaving it silky smooth and smells divine, they come in several scents, my favourite being cocoa and almond! Worth £1.00? DEFINITELY! With these products I really do think it's worth trying them without writing them off as 'rubbish' because they are so cheap, I have found some fabulous products and yes, some not so fabulous, but at £1.00 each it's worth the risk! Derma V10 have a huge range online and in some shops and I will continue to test them out. Have you tried any Derma V10 products?